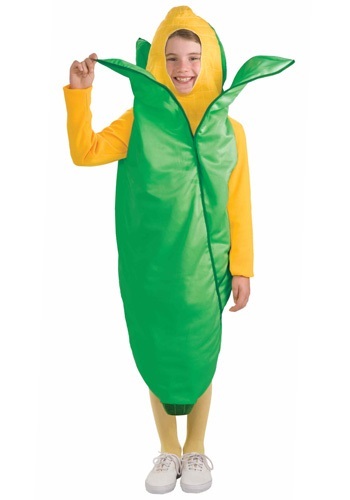 Turn your kid into a corn cob with this funny vegetable costume. This child ear of corn costume comes with the jumpsuit which Velcros in the back. The corn head piece has a hole for the face and is attached to the green husk which has arm holes and is completely open at the bottom. A yellow shirt and tights are optional accessories and are not included.